One of the best parts of winter is all the amazing citrus that is in season, and this particular beauty cannot, and should not, be ignored...the beautiful blood orange. In fact, it should be admired, featured and celebrated. On the outside it looks only slightly different than a regular orange - it's skin can range from slightly blushed to quite wine-red. 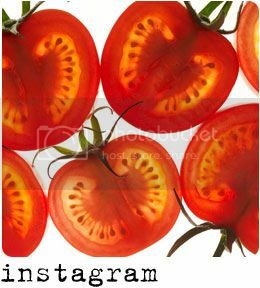 When you cut them open, they can go from a mottled bright red/orange combo to a deep, dark (almost scary) blood-red. When you squeeze them you get most insanely, intensely gorgeous juice ever. That's right - ever. I love to juice a ton of them for cocktails when entertaining because anything you use it in is instantly so darn pretty. And tasty. Last night for a friend's birthday, I mixed the juice with St. Germaine, vodka and Q lemon soda & the outcome was quite fantastic. 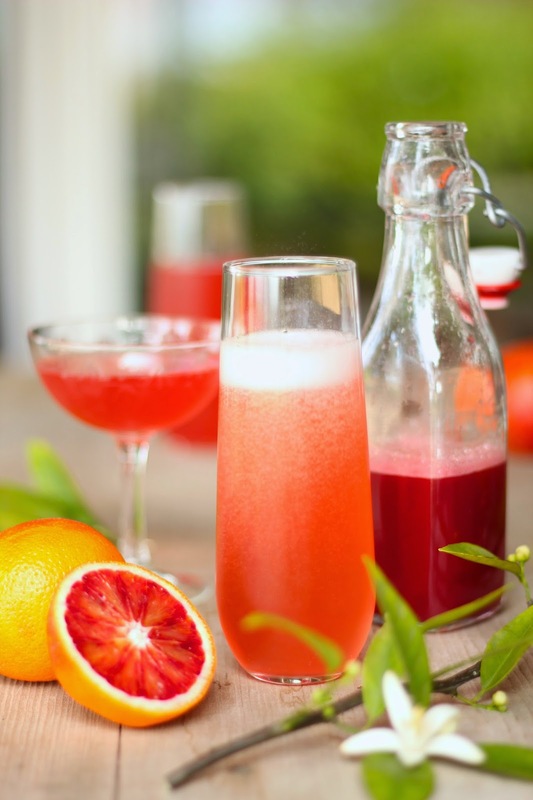 Another winning combo is the blood orange mimosa (everything is so lovely with champers, right?). Just combine a very dry Brut champagne/sparkling wine and the fresh-squeezed blood orange juice in a juice:champagne ratio you like best. So simple and stunning - it would be an awesome, elegant drink for an Oscar party or Easter brunch. Of course, you can always omit the booze and just drink it like as you would regular OJ! I found that juicing 20 blood oranges gave me a about one quart of liquid. Your results may vary slightly depending on size, juiciness, etc., but it's a general guide for ya'. Enjoy!